During your workout, you should be focused on your reps, your music, and your wellness - not your clothing. That's why the Kari Traa Lise Running Tank is sure to become your go-to gym top because it's designed to fit perfectly without the need for constant adjustments. Flat-lock seams prevent annoying rubbing and the four-way stretch fabric will never restrict your movement. The Lise Top is for women who lead an active lifestyle and need clothing with uncompromising performance. 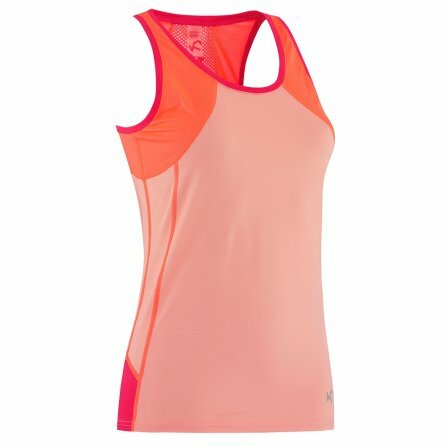 This tank top's slim fit is ideal for layering or wearing alone Reflective detailing catches the light, keeping you safer during evening runs. Mesh vents encourage airflow against your skin to reduce sweating.